There is something for everyone in the first issue of BJHS Themes, the new open access, annual journal brought to you by the BSHS and Cambridge University Press. The first collection, ‘Science of giants’, looks at science and technology in modern India and China, and is the outcome of several years’ intensive discussion at workshops across the world. The guest editors are the historian of Indian science Jahnavi Phalkey, who lectures at King’s College London, and the Toronto-based historian and photographer Tong Lam. 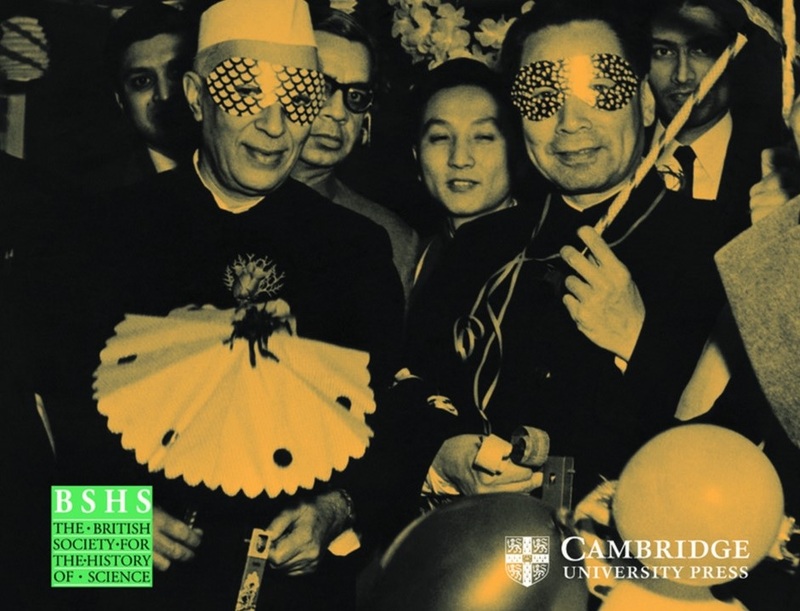 ‘We bring historical knowledge to speak usefully to the excitement, anxiety and aspiration around science and technology in China and India’, explain Phalkey and Lam in their introduction, adding that a focus on China and India, sometimes comparatively, sometimes in parallel, is a method of exploring new historiographical questions of science. Papers address branches of science as varied as natural history, space technology and statistics. There are papers on science policy, industry, science parks, science fiction and snow leopards. There is also a variety of approaches from historiographical inquiry to case studies, from photo-essay to roundtable discussion. Authors contributing include, in addition to the editors: Diganta Das, Fa-ti Fan, Arunabh Ghosh, Anna Greenspan, Michael Lewis, John Mathew, Anil Menon, Kavita Philip, Leon Rocha, Asif Siddiqi, Madhumita Saha, Sigrid Schmalzer, Elena Songster, Zuoyue Wang, Jeffrey Wasserstrom, and Pin-Hsien Wu. As general editor, I was delighted with the opportunity to guide the first issue of BJHS Themes into press, especially one with such ambition. I think the format – the edited collection – is a popular one, but what the journal format brings is peer-reviewed quality, and the open access format takes the whole to another level of publication and engagement. How you read it is up to you. You can choose to read the whole, or browse the papers individually. You can download a PDF, or send it to your Kindle, or print a physical copy if hanker after the feel of paper. Electronically, it is free (to non-members and members of BSHS alike), to read and share, thanks to the open access arrangement.